The Aston AA Fields and Clubhouse has been chosen by Comcast NBCUniversal as part of their commitment to making the communities where we work and live better. 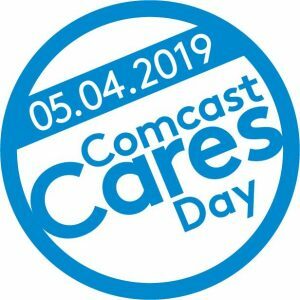 In a few weeks, on Saturday, May 4, Comcast will celebrate that commitment with one of their company’s best days of the year – Comcast Cares Day. It’s a tradition that has grown into one of the largest corporate commitments to volunteerism. Last year, more than 115,000 volunteers pitched in to make change happen at schools and playgrounds, community centers and neighborhoods around the world. It also gives families a chance to demonstrate the importance of giving back at an early age – last year one in four volunteers were under the age of 18. This year we need your help to make the 18th Comcast Cares Day another success. We invite you to join us to volunteer on Comcast Cares Day with the Aston Athletic Association to help restore the football and softball fields, along with cleaning out/up the clubhouse, located behind the Community Center. You can learn more about the project AND sign up here www.comcastinthecommunity.com it’s easy to set up your own account to register. If you wish to bring a group of volunteers, please reach out to Paul Dauphin at 610-368-2399, Micky Gonzalez at 484-802-1151, or Carolyn Patterson at 610-453-7135, and we will be happy to assist. We look forward to rolling up our sleeves with you on Comcast Cares Day. Did you miss the live broadcast of the Aston Township Commissioners meeting on Aston TV? No problem, you may view this and previous BOC meetings online by visiting our video archive or Board of Commissioners page. This meeting will also re-broadcast on Aston TV (Comcast Channel 5, Verizon Cable 45) on Tuesday beginning at 4pm. Aston Township will be holding their annual shredding event on Saturday, May 25, 2019 from 9 a.m. to 12 p.m. This event is held at the Aston Township Community Center, 3270 Concord Road. Aston, Pa 19014. 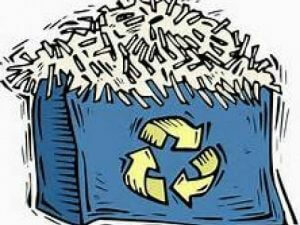 The shredding event is for Aston Township Residents ONLY. 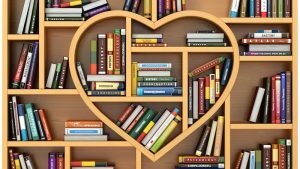 The Aston Township Public Library will hold a book sale on Friday April 26, 2019 & Saturday April 27, 2019 from 10 a.m. until 4 p.m. The Aston Library is located at 3270 Concord Road. Aston, Pa 19014. There will be paperbacks and hardbacks available for both adults and children! Come out and join The Lenni Athletic Club as they present the 10th Annual Fishing Derby! The Derby will be held on Saturday April 27, 2019 from 9 a.m. to 12 p.m. with registration beginning at 8:15 a.m. The Derby will be held at Louis Fisher Park, located on Mount Road in Aston and is open to children ages 4 to 12. 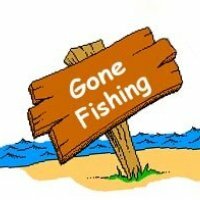 It is requested LIVE BAIT ONLY be used. There will be food, fun, prizes and trophies handed out!! 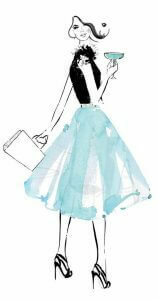 The Aston Lioness Club Presents Spring Fashion Show & Shopping Event. The event will be held at the Aston Community Center, 3270 Concord Road. Aston, Pa 19014 on Sunday, April 28, 2019from 1:30 p.m. to 4:30 p.m. The admittance cost is $10 per person, with light refreshments included. Credit Card, Checks and Cash Accepted, Fashions by Taylor Marie’s with 10% of clothing sales benefitting the Aston Lioness. For ticket information, please call Lovada at 610-476-0584. The New Construction Meeting planned for tonight will go on as planned. A & A Enterprises, LLC. This application does not include any development of the property at the current time. The applicant’s engineer, Nick Cirilli P.E. will appear before the Aston Township New Construction Committee to review the reverse subdivision plans and comments from the Delaware County Planning Commission and the Aston Township Planning Commission, as well as, the Township Engineer’s Plan Review comments. The New Construction Committee meeting is a public meeting and residents are invited to attend and make comment. The meeting will be held at the Aston Township Municipal Building, 5021 Pennell Road, Aston, Pennsylvania, starting at 6:30 PM.